This week, with members of the CSF-Indonesia team, I visited the Sintang region in West Kalimantan in an effort to get a better understanding of the issues affecting the Indigenous peoples who live there. My road trip included visits to remote villages abutting large oil palm plantations. In the evenings, after dinner, the village leader would speak about deforestation, jobs, infrastructure needs, and the lack of education for children. Impassioned discussions with other members of the village went on until 2am. One of my hosts on this trip was Antonius Antong, a 41-year old native of Sintang who is the head of the regional AMAN branch. AMAN is a national organization that represents the interests of Indonesia’s indigenous peoples. He struck me as a dynamic leader who understands the challenges of balancing economic growth with sustainability. I sat down with him one afternoon to discuss why he had chosen the path he was on and what he wanted for the future. Antong is Seberuang, a sub-tribe of the Dayak people who populate much of West Kalimantan, and lives in Sintang with his wife and three daughters. He has a degree from Widiadarma University and is passionate about the environment. He joined AMAN after working at a local credit union and some time with K77, a cooperative of agricultural producers. Antong saw that the quality of life of the Dayak people was declining, and he wanted to help. At AMAN, Antong is meeting with people in the villages to explain the importance of the environment. Some projects, like micro-hydro dams that provide critical electricity in remote areas, require protection of the forests to ensure adequate water flow. Antong’s vision for Sintang is better livelihoods for his people in harmony with the environment. He wants to create better jobs that do not harm the environment, and is hoping that CSF can help by leading an effort to identify a sustainable growth plan for the region. Antong’s ambitions and desires have also pushed him to take on a new challenge: next year he will run for political office, hoping to be a local representative in the national parliament. 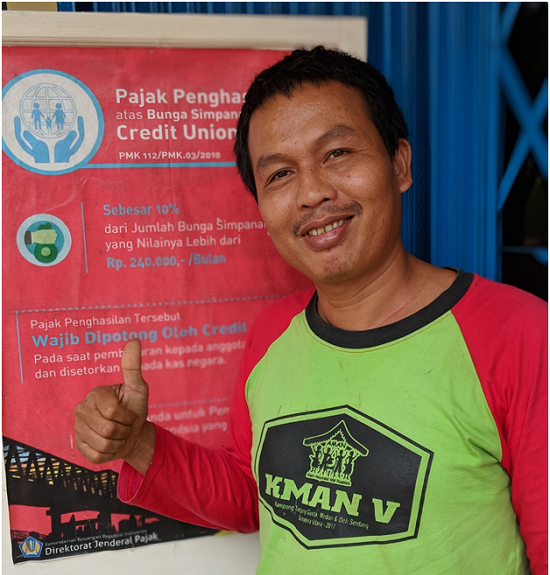 Leaders like Antong will make a difference in Indonesia, and we hope to equip him with the right tools, knowledge and skills to achieve his goals. All photos credits Scott Edwards.